White Dresses would like to take a minute to reflect on the amazing year we have had - so many changes have happened this year and we are so lucky to be where we are today. First and foremost, we would like to thank the Lord for His constant provision in each of our lives. We would also like to thank each of our brides, who have made this job especially fun and who have trusted us with such a big part of their wedding day! We would also like to thank each of the vendors and suppliers we work with - the wedding industry is tougher than some might imagine and we are thankful to call each of you friends. Finally, we would like to thank our families - who have sacrificed time and money to help see each of our dreams come true. Photo by Sleepy Fox Photography. White Dresses started the year off with our annual Aunt Madie's Lovely in Lace Trunk Show. Just like every year - this is one of our most joyful events and we love celebrating Aunt Madie's love of lace with all of our amazing brides! After kicking off the new year with the amazing lace event, we held trunk shows for Hayley Paige, Blush by Hayley Paige, Kenneth Pool, and Sareh Nouri. We also hosted a huge Valentine's Day Event! These events are so much fun, so make sure to check the calendar and the blog often to see if we have any upcoming events happening in 2016! White Dresses also was able to participate in some pretty amazing styled shoots - including shoots with White Rabbit Studios, Sleepy Fox Photography, Buffy Dekmar, Jonathon Kohn, and Invision Events out of Atlanta. These were all a complete blast. Styled shoots tend to be one of our favorite things to do to share how to style certain gowns and we just love collaborating with talented vendors! 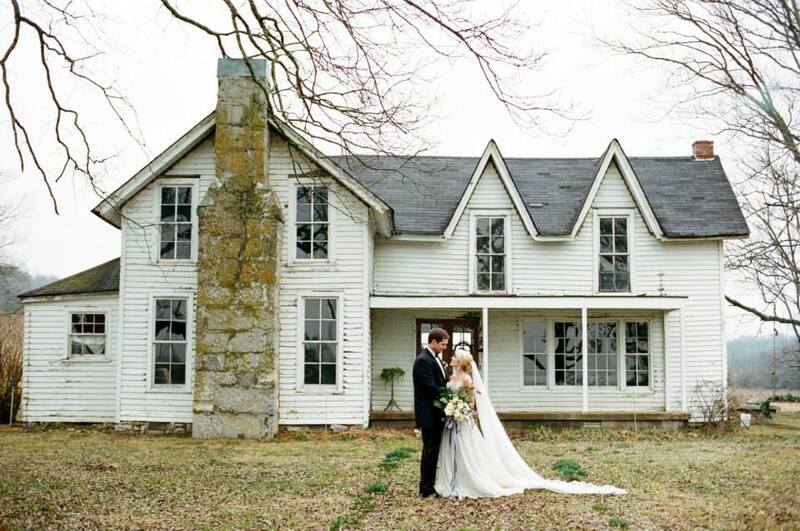 In our biggest news - we opened our Nashville Bridal Shop and added Morgan Bolen as the owner of our Huntsville Bridal Shop! We absolutely are loving the new shop and having Morgan as part of our team! We also had a huge facelift for our website and revamped our logo! We are still over the moon by both of them! Photo by Linen & Leaf. Like always, we spent ample time in New York City picking out some pretty amazing finds at market and ended up with some awesome new designers! We also got the chance to catch up with some lovely designers that we have worked with since day one! Kara and I tried our hand at a Pop Up Shop in Nashville and were reminded why wedding gown shops are not on the go - although we met tons of great brides and sold some amazing dresses...Rome wasn't build in a day and our amazing bridal shops can't be either. Talk about exhausting - lugging forty dresses to a new location and trying to set it up was literally one of the most tiring things we have ever done! Most importantly, we have seen tons of amazing brides say I do in fabulous gowns from our shop! We always say that we are the biggest stalkers of all time - literally using Sunday from about 6:30 a.m. until time to get ready for church to look up every girl that buys from us. Whether you know it or not, we absolutely adore you long after you are gone and talk about you often! We love each of you and pray over your marriages. So, that pretty much sums up our 2015! We absolutely can't wait to see what 2016 holds. Photo via Sleepy Fox Photography.